The groupies are bridesmaids, the drinks are free and the dream is still alive! 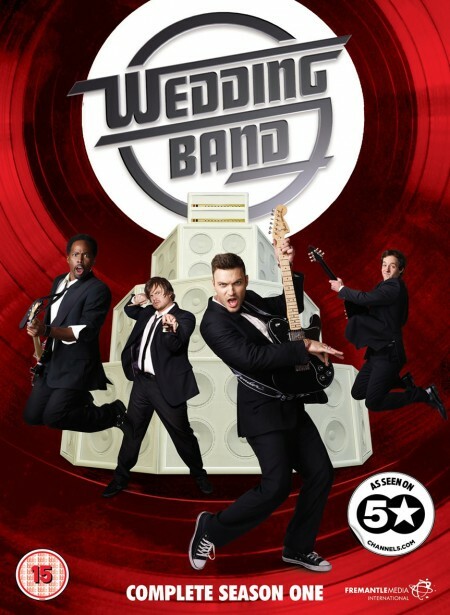 Wedding Band follows a group of guys who dream of being inducted into the Rock and Roll Hall of Fame but for now are escaping everyday life by performing in a wedding band. The band is anchored by lifelong best friends, Tommy, a perennial bachelor and Eddie, a married father of two, living their dreams at the weekend as rock stars. While other bands would be crashing their way into the best parties, they're paid to perform at them and will stop at nothing to make every wedding, birthday or bar mitzvah a concert to remember. Wedding Band is executive produced by Emmy award-winning producer Mike Tollin (One Tree Hill), created and executive produced by writers Josh Lobis & Darin Moiselle (South Park) and stars Brian Austin Green (Beverly Hills 90210), Harold Perrineau (Lost), Peter Cambor (NCIS: Los Angeles), Derek Miller (Transformers: Dark of the Moon), Kathryn Fiore, Jenny Wade (No Reservations) and Melora Hardin (The Office) with special guest star Megan Fox.